Ausschweifendemotte says goodbye to Daniel Miller with a photo set. Yep, even if BS was eponymous… but Daniel really was worth looking at! Angelpretend has put together a compilation of Thorin fan art. There are some amazing pictures and sketches in there, amazing! Credit to all the creators, I guess! I couldn’t have said it better than aghostlydragon. Spot on! Cool – in case you thought Mina Tander’s latest trio portrait of herself flanked by RA and La Forbes (as taken the piss off by me the other day), greatkingunderthemountain has actually put all three iterations of that photo in one post. Fantastic. Those pictures work so much better as a series, don’t you think? I haven’t read any of these fan fics, but ra-of-light apparently also writes… Here is her master list. No guarantees on quality 😉 (a quick look reveals that she writes reader-insert/2nd pers singular, which is not to everyone’s taste. Not sure whether they are all like that.) Apparentely also NSFW – you have been warned! A nice number of stuff, right? Have a nice weekend, then! PS: In case you are all reading here – a big shout-out to KellyDS, LoLo and Kathy Jones. I received your various e-mails and other missives, and I will answer properly. At this stage, though – 1,000 thanks for what you sent me and for being in touch. Big hugs to all of you. I promise to reply properly soon! Wishing you fun weekend. :* And happy birthday to your daughter! Many thanks, Andrea. My mum has arrived, weather is nice – it’ll be fine. Enjoy that Irish breakfast and bday party evening!! Thank you! Looking forward to that party this evening. I’m all set. Oh no – tumblr playing up??? Pics with bikes??? From my links??? Not really what I wanted to show you. Hope it all rights itself soon. Oh, no, I do know that robot thing. And I never get past that, either. I can only access tumblr when I am on Safari. Chrome won’t do, no matter how often I click all the bikes and write in my password… Never mind. Tomorrow is another day. Have a great weekend! Sounds like yours will be as full as mine!!! Thanks for the round up! I walk the fine line of introvert/extrovert like a drunken circus clown. I often have a good time when I am out, I hardly ever want to go out. If that makes sense. Oh, that so makes sense. Although my approach is even more schizo: I *love* planning things (reserving theatre/cinema tickets, booking adventurous holidays), and the closer to the event – the less I like the idea of doing what I had planned to do. I eventually set off reluctantly because I have booked the tickets. And when I am out, I love it… Weird. On the subject of full Irishes, are you for or against baked beans on the plate? My mouth’s watering at the thought, either way. Mum’s arrived – and all well. Full Irish – personally I am not really into baked beans that much. For me they are never really integral to an Irish breakfast. I’d associate it more with an English breakfast. But I could be wrong!!! Fantastic – so your study day was good? You deserve to put your feet up now and enjoy the weekend!!! Nice roundup! Hope you enjoy your busy weekend! I saw your gorgeous cherry blossom photos. Amazing! So pretty. Glad you had fun! And thanks. The blossoms are already beginning to fall! Like snow in spring time. Thanks for the great round-up Guylty and hope you are having/had a fab weekend. 1.pic, what a guy wants chooses such great pics. The luminosity on Guy’s face! He looks so beautiful, cherubic even – not normally a quality associated with Guy. How about we take it in turns? Oh no I don’t want to picture him with a caterpillar moustache! Yes it was really interesting when he said about his face changing during the Crucible, he somehow always manages to look different, you can see it in his expression that he has taken on the mantle of another character. The cardigans do a good enough job for me as a silly situation! *hehe* If they rock your boat, that’s great. Hi Guylty! Hope you had a great time in London. Oh no the cardigans really don’t rock my boat, they are my equivalent to a caterpillar moustache! ooh, you see i saw that cardi and i like it! 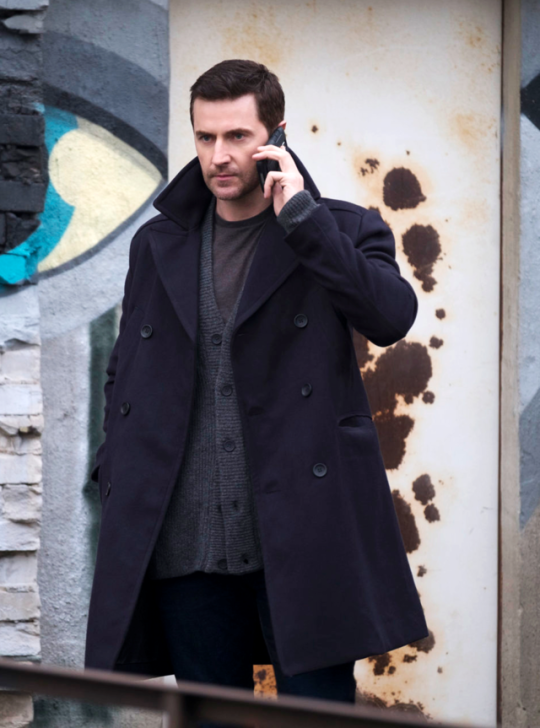 jumpers and cardi make men look snuggly and I would very much like to snuggle up with RA! Has anyone checked what the hair and make-up is like for The Stranger? I hope he can keep his salt-and-pepper hair colour. It befits a man who has a couple of teenage sons. Yay!!!! That sounds great. I really really hope (for his sake) that he can move on gracefully into middle age. He is gorgeous as he is. Done – she went for her first ever pint of Guinness into the local pub with her father, brother, three uncles and a cousin-once-removed. Truly grown-up now.